This project is a cooperative agreement between the Northwest Portland Area Indian Health Board and the Center for Disease Control and Prevention (CDC) Good Health and Wellness in Indian Country (GHWIC) initiative funded from 2014-2019. This project addresses chronic diseases including heart disease, stroke, and type-2 diabetes, which are among the most widespread, costly, and preventable causes of morbidity and mortality for American Indian/Alaska Native populations throughout the United States. 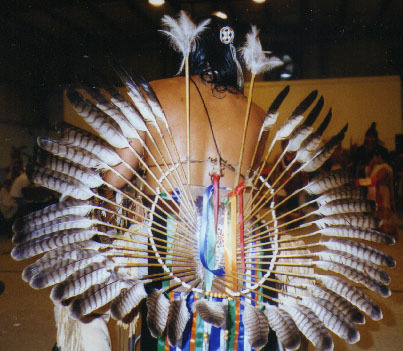 To address chronic disease risk factors including: commercial tobacco use, physical inactivity, and unhealthy diet using policy, systems and environmental change approaches in the 43 federally recognized tribes of Idaho, Oregon, and Washington. 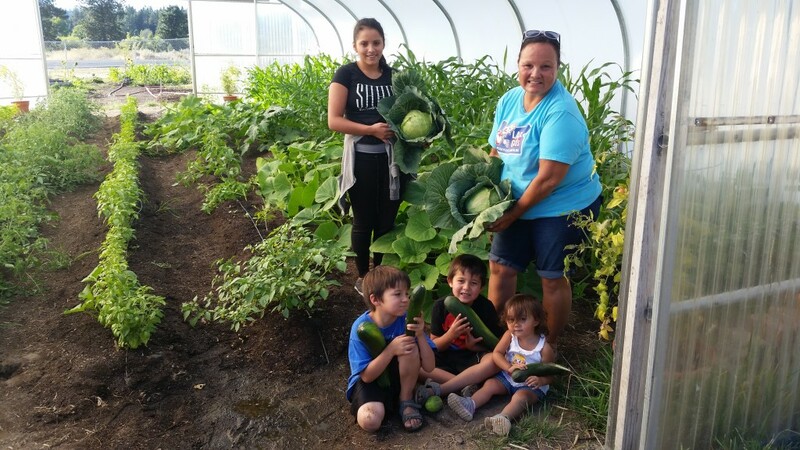 Perri McDaniel, Klamath Tribe's Food Security Program Coordinator, harvesting produce from the newly installed greenhouse in the Chiloquin Garden. Native Infusion is a teaching toolkit aimed to support you and your community in making healthy choices about beverages. 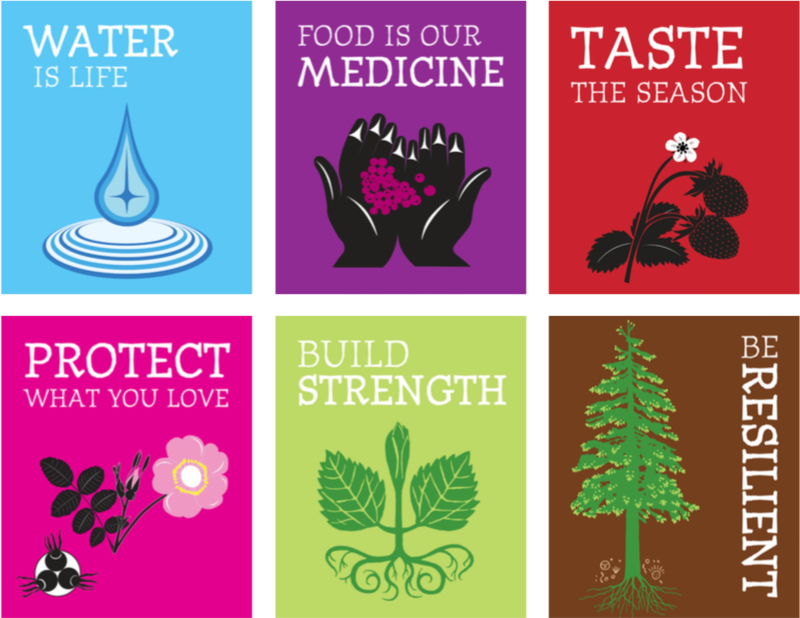 The toolkit integrates Native American cultural teachings and traditional health and nutrition concepts from the Coast Salish region. Posters are free for NW Tribal Communities and Tribal Organizations, Contact WEAVE-NW to request them. 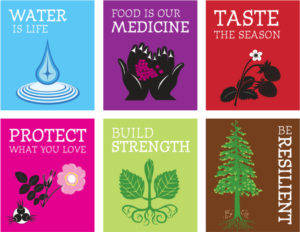 The Cedar Box Teaching Toolkit is an educational resource featuring important native foods in Salish Country and the rich cultural traditions that surround them. The foods were selected because of their high nutritional value, cultural significance, and reasonable availability. Educators can use the cedar box toolkit in a variety of settings including classrooms, community workshops and other educational events. Possible presentation formats include a “show and tell” overview of Salish foods, an exhibit, or a complete curriculum for teaching in depth classes on individual foods. The information in this curriculum only scratches the surface of the vast cultural knowledge for each food. We hope that you can add your own community knowledge, stories, artwork, preserved foods and language to your toolkit over time.